Near the southern tip of the Argolid Peninsula you find the old farming town of Kranidi from which you descend gently for a few kilometres to the horseshoe bay of Porto Cheli. 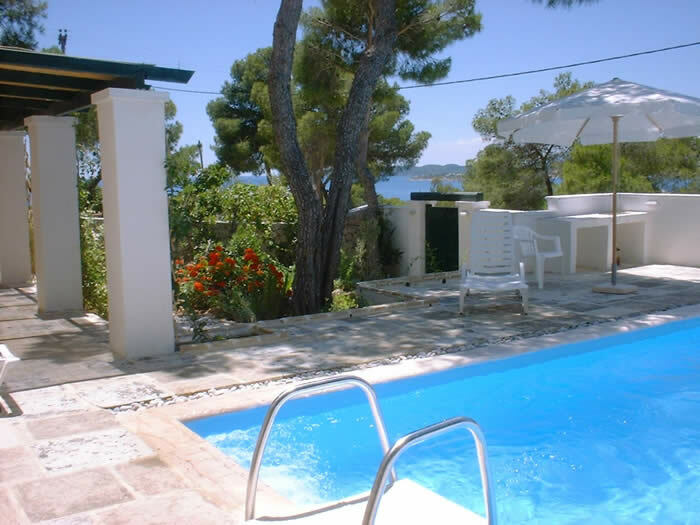 From there, in both directions, the coast is dotted with villas – many in the luxury class with pools and many suitable for large groups of friends or family - amongst pines and many with views across the strait to Spetsai. It’s a lively place, with water-sports (windsurfing, sailing and even diving) as well as good shops and plenty of tavernas and bars along its extensive waterfront. A little east of Porto Cheli is Kosta, whence taxi-boats and a car-ferry (the latter a slight mystery as no cars are allowed on the island) whisk you across to Spetsai. 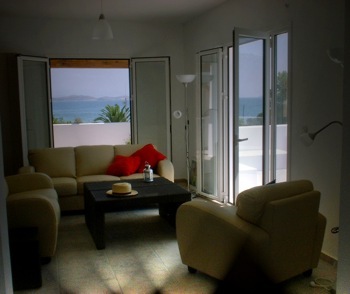 Between Kosta and the little peninsula of St Emilianos, a promontory pointing across the straits to Hydra, is a rapidly growing area of smart purpose-built villas, airy, well appointed with fitted kitchens and often with pools and some small complexes of studios and apartments. All are tucked amongst the pines, hidden at least in the sense that they are sometimes hard to find! The views across to Spetsai and Hydra from many of them are glorious. Here you tell us the sort of property you want to rent, the size of party and the dates you have in mind and we check out what’s available. You will find pictures of some of the houses here and we show guide prices for a small random selection of properties. All along here is good bathing in sandy coves or from easily accessible rocks. Car hire is available in Porto Cheli enabling you to explore north to Epidavros and Nauplion; Athens airport is quite an easy drive of 3 hours or so, with no need to navigate through Athens itself. Connections with Piraeus are simple and frequent by fast catamarans. Spetsai is so near that those wanting more life – including night-life – can go there for the evening and return at any time by taxi-boat. 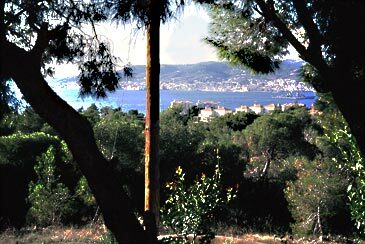 A collection of high quality properties on the coast of the Argolid Peninsula east and west of Porto Cheli, mostly set amongst trees and with glorious views across to Spetsai and/or Hydra. You will find more pictures when you click on the link to Clare's Villas. This villa stands on a hill behind the little town of Porto Cheli and enjoys a magnificent panorama over the town, harbour and straits to the undulating green island of Spetsai. 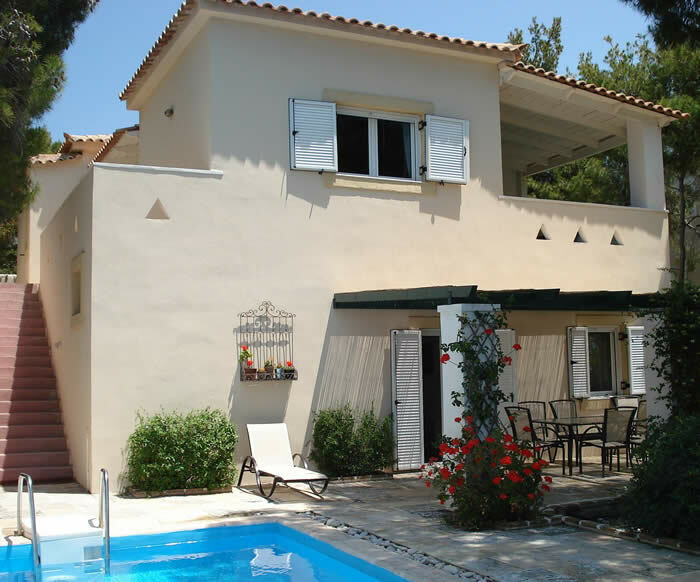 The accommodation is exceptionally well-apppointed with plenty of en suite bathrooms and very spacious balconies and terrace. S/C < 10 persons. Click on the villa name above for more details, pictures and availability. Villa Kostoula is built in the shade of pine trees a few minutes’ drive east of Kosta, whence the local ferry (or fast taxi-boats) take you to Spetsai in a few minutes. 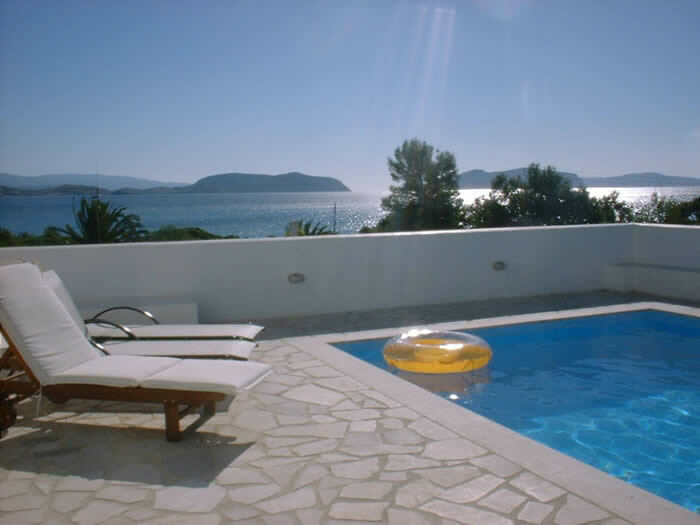 Indeed, you look across to Spetsai island from the balcony and pool area of Villa Kostoula. 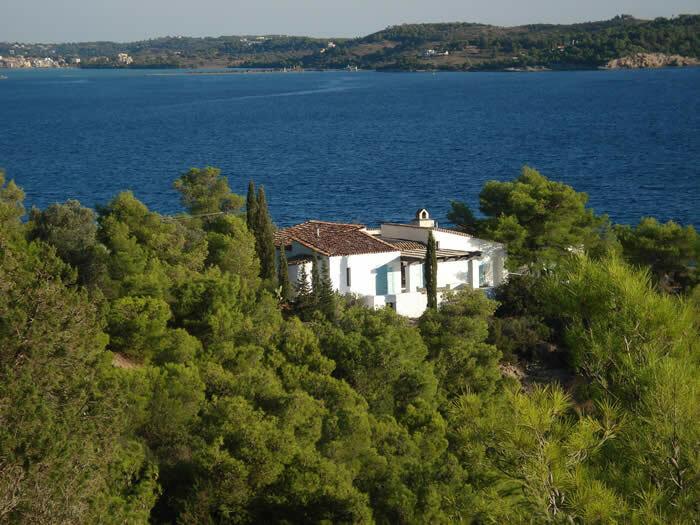 The villa also has the advantage of being next door to the private house of Clare and her family who look after the whole clutch of villas here – so no danger of feeling lost! There are plenty of sandy bays along the coast here; and Porto Cheli and the archaeological sites of the Argolid are within easy driving distance. S/C < 8 persons (whole house) or S/C < 4 persons (using the ground or first floor only, both of which are self-contained with separate access; the two halves, however, are never let at the same time - this is purely an opportunity for smaller groups outside the high season). Click on the villa name above for more details, pictures and avaiability. A stone-built villa with character, a traditional feel and superb views rather than being just another luxury des res from a developer’s drawing board. From its position atop a headland with the sea just below and a quiet sandy cove on each side, you can feel king of the castle: children will love it and find rather fewer valuables to damage than usual. It recalls the real Greece of 25 years ago. The villa is about 5km from Porto Cheli along the less wooded, slightly flatter terrain which has so far seen comparatively little development. And it's affordable. S/C < 6 persons. Click on villa name above for more details, pictures and availability. S/C: < 8 persons. Click on villa name above for more details, pictures and availability. 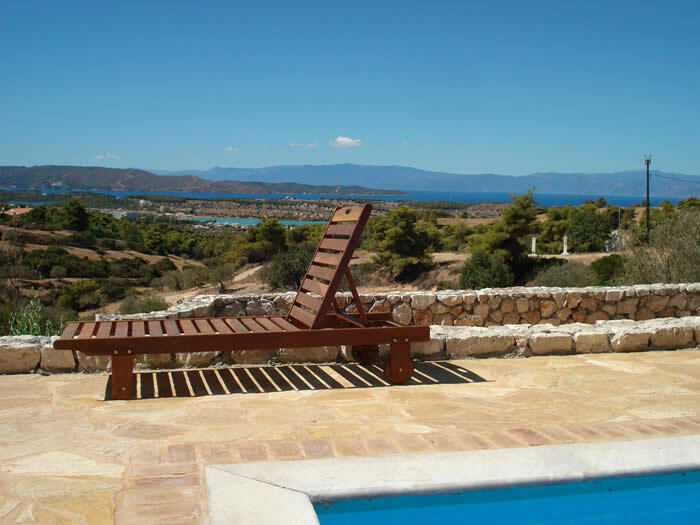 This is a lovely villa with wonderful views towards Spetsai from its landscaped grounds. Featuring not just a large pool but a hot tub near the barbecue area. 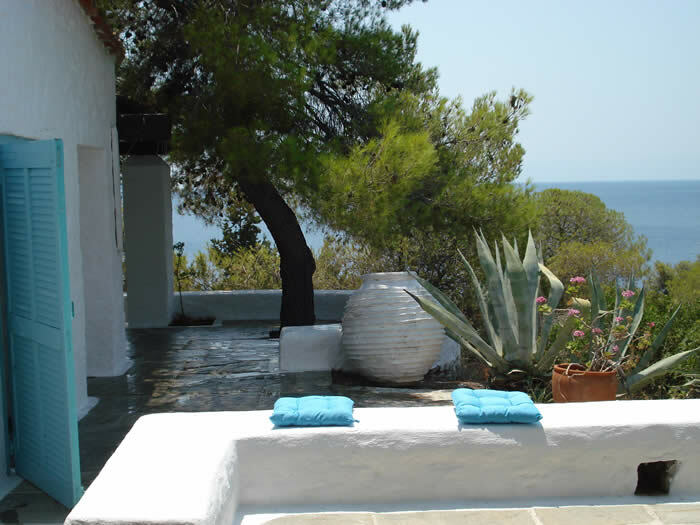 There is space everywhere and – rare for Greece – even lawns. The accommodation is very comfortable and well-appointed. 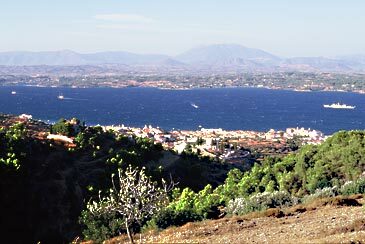 Both Kosta (ferry across to Spetsai) and Porto Cheli are a short drive away and the various ancient sites of the Argolid easily reachable. S/C < 6 persons. 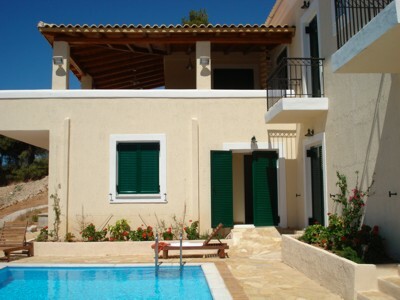 Click on the villa name above for more details, pictures and availability.